End of Lease Clean-Up and Need A Bin? One of the most frequently asked questions is what type and size of bins are best suited for end of Warehouse or Commercial Building Lease. 31m3 bin - most popular for warehouse clean ups. All large bins come with doors and our base hire period is 4 days. You can have the bin for longer, for only $30 per day after day 4, please give us a call with your specific requirements and we'll find the best suitable bin for you. To choose the right bin size - please check out our website with all the bin dimensions and bin quotes and bookings can be obtained 24/7 via our friendly website or via giving us a call on 1300 605 624 7am to 5.30pm Monday to Friday or 8am - 2pm on Saturday. 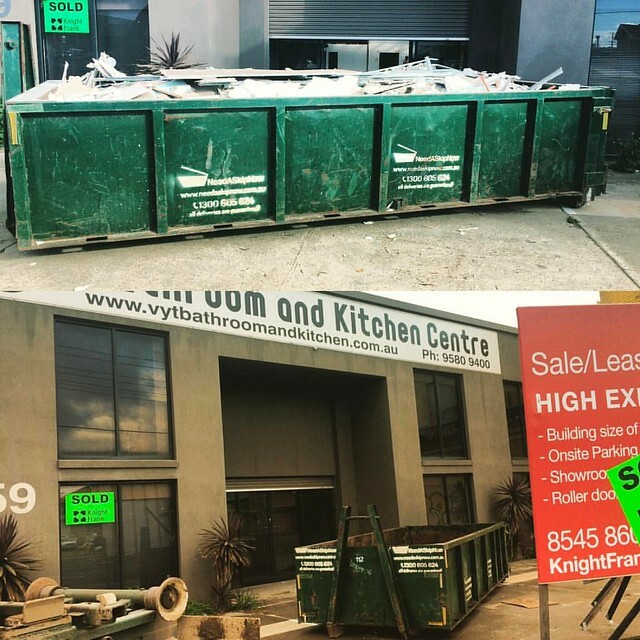 We look forward to assisting you with your warehouse or end of lease clean up or any other projects where you might need a bin in Melbourne!